A powerful dance featuring an ogre holding hardware! 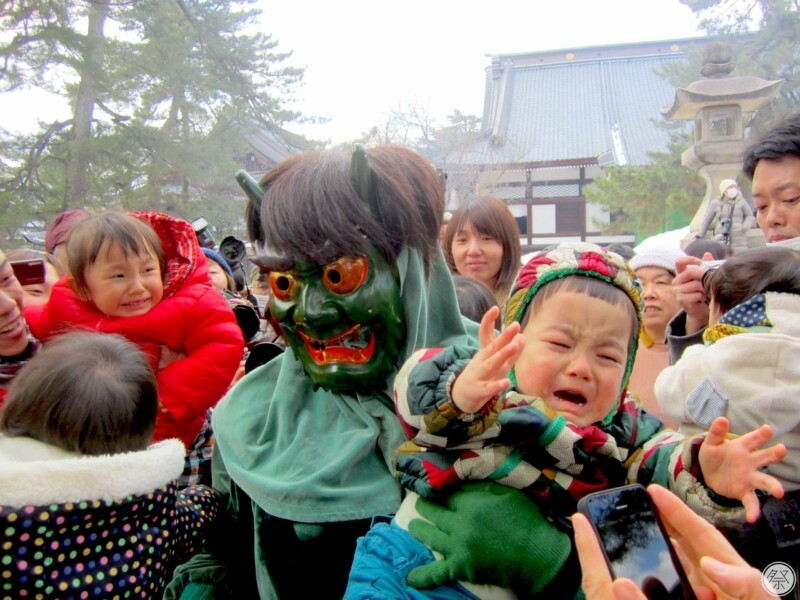 The Honjoji Ogre Dance is held on Setsubun (the day before the beginning of Spring according to the ancient 24 solar term calendar). 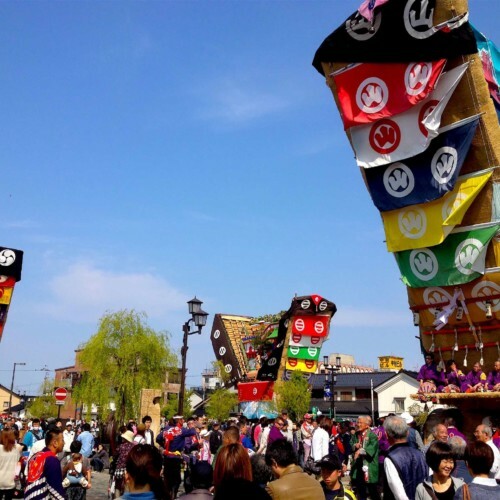 It is a festival for praying for peace and safety and features the Mamemaki ritual for warding off evil spirits where soybeans are thrown at an "ogre"in order to drive it away. 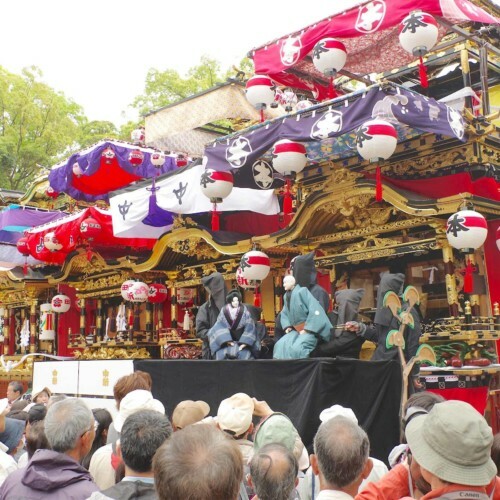 At the Setsubun Grand Prayer, beans are scattered all about, prayers of safety and prosperity in business are made, and men and women who share the same zodiac sign of that year, are brought forth to have their misfortunes cleansed away. 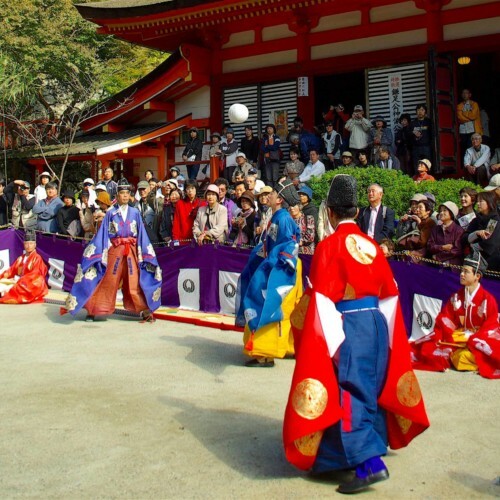 After that, at the main hall of the Honjoji Temple, ogres put on a solemn performance of the Ogre Dance, or Oni-odori. These ogres, with metal tools such as saws and axes in hand, scream and thrash about, instilling the kind of fear that real ogres would. 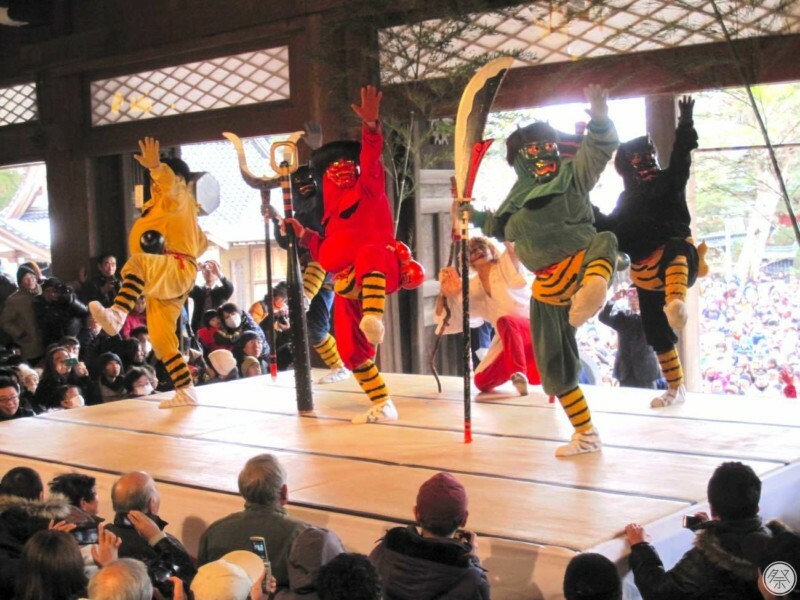 After the dance, visitors join forces to throw beans at the ogres yelling "Oni wa soto, fuku wa uchi! "(Out with the ogre, in with good fortune), and prayers for peace and safety are made. 1. Watch the powerful ogre dance! 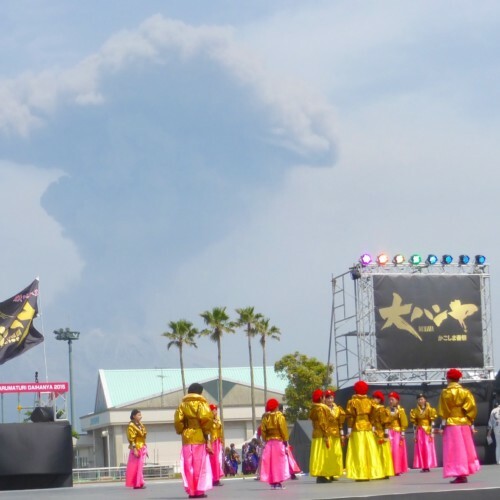 This ogre dance, involving tools such as saws and axes, is fit just for Sanjo City, one of the rare industrial cities of Japan that boasts blacksmith skills spanning over 400 long years. In this dance, the different colors of the ogres all have different meanings. The red ogre represents "all of the bad aspects of the human mind", the blue ogre represents "the poor and greedy human mind", the yellow ogre represents "the complaining and over-dependent human mind", the green ogre represents "the arrogant human mind", while the black ogre represents "the doubtful human mind." Amidst the silent and solemn atmosphere of the temple's main hall, these ogres dance, scream and rampage as if they were real ogres. 2. Have your child grow in good health?? It is said that if your child is carried away momentarily by one of the ogres then that child will grow strong and healthy. 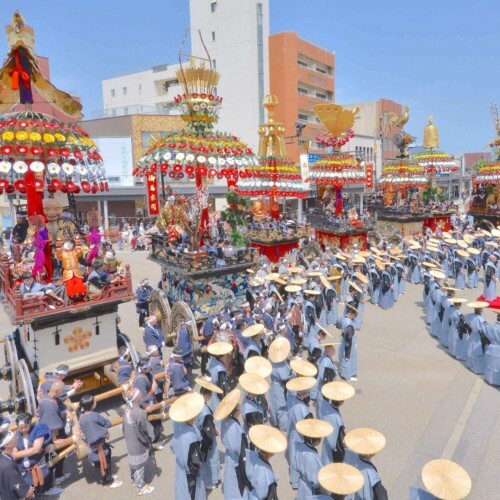 Families flood to this festival every year in hopes of having their child captured. Held annually on the same day.